Hiking boots and water shoes have always been separate in my mind. I’ve been the happy owner of their Brewess shoe for the last few years for all of my whitewater adventures, but I’ve never considered taking them more than a few miles on river-side trails. 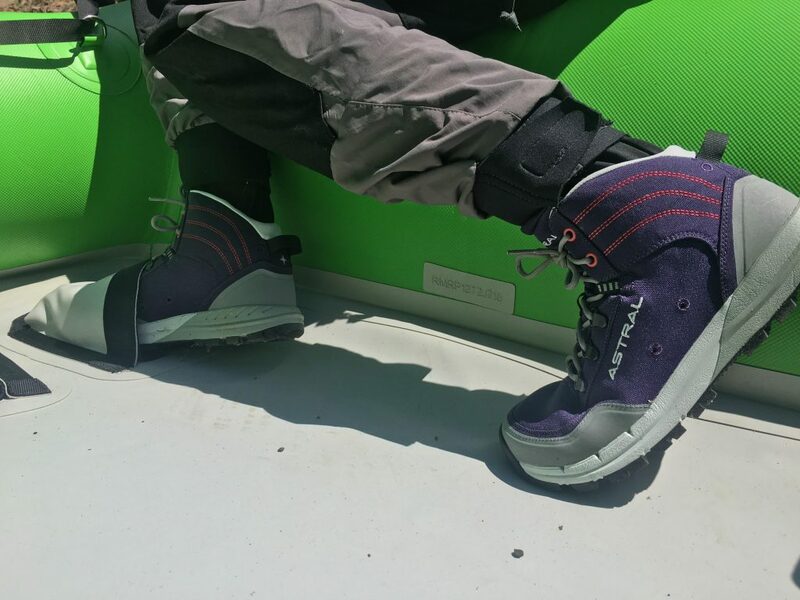 So when I took a pair of the Astral TR1 Merge boots for a spin, I was excited to put them to the test on both dry land and in the water. If you’ve owned Astral whitewater shoes in the past, I would recommend sizing up from your usual Astral size. Most people I know sized down for their Brewess/Brewers because the low-profile, soft-fabric shoe has a lot of space and room for stretch, but the TR1 Merge is much stiffer in the sole and toe box (hence being more appropriate for more aggressive hiking), so I ended up back in my regular street shoe size. The purple color is an added bonus that’s fun, but not overpowering, and the shoes look well-constructed with clean lines and eye-catching red details. They don’t look or feel like clunky hiking boots. 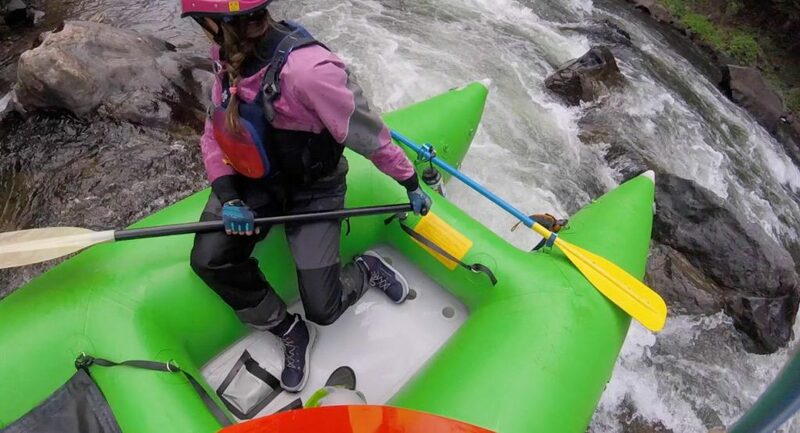 The first time I wore the TR1 Merges was kayaking in Boulder Creek. I was really pleased that A) they fit inside my kayak with the stiff soles and larger profile and B) they were comfortable in kayaking position. 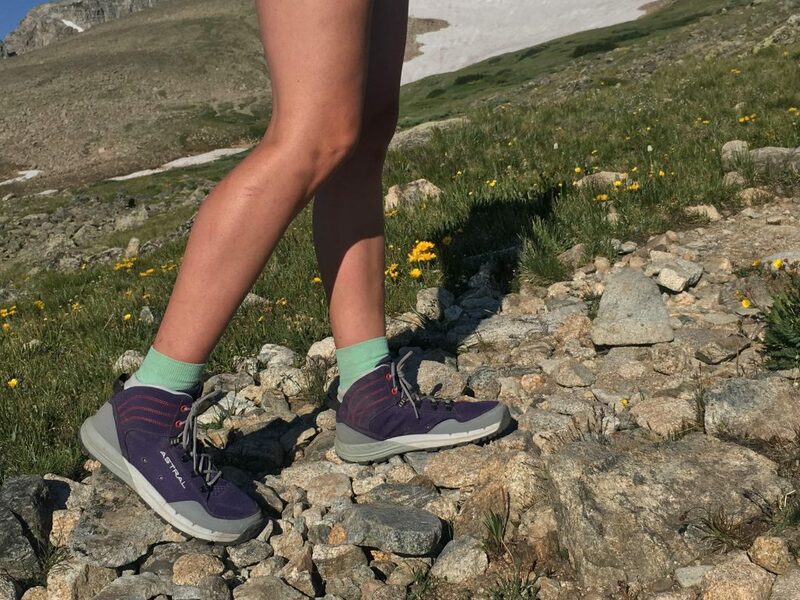 A key feature of the Brewess is the draining abilities through both the mess of the toe box as well as all the way around the heel so water pours out of them quickly when getting off the river. The TR1 Merge features two sets of small drain holes on the inside and outside of the arch and I can confidently report that when taking on and off the river they drained rapidly and took on virtually no sand providing a really comfortable walk out carrying my kayak. 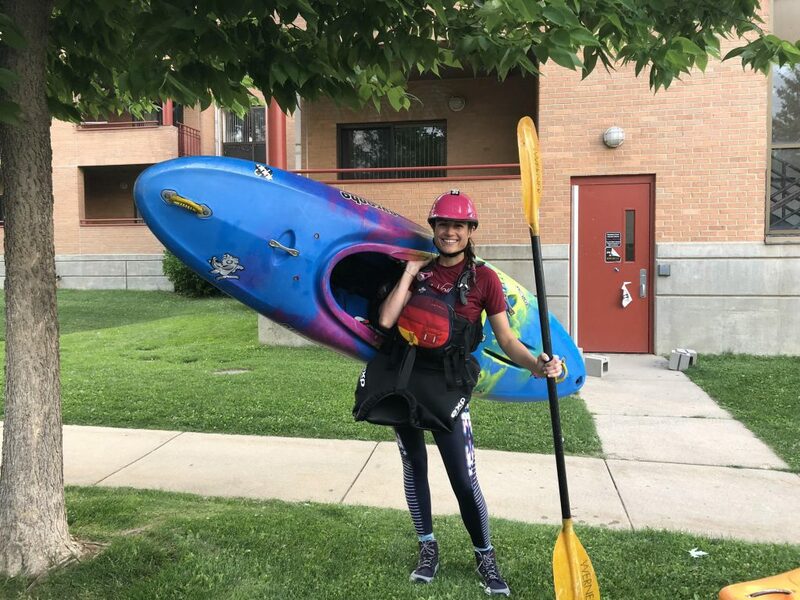 My second adventure was R2’ing a paddle-cat through low-water Class IV on Clear Creek just west of Denver. 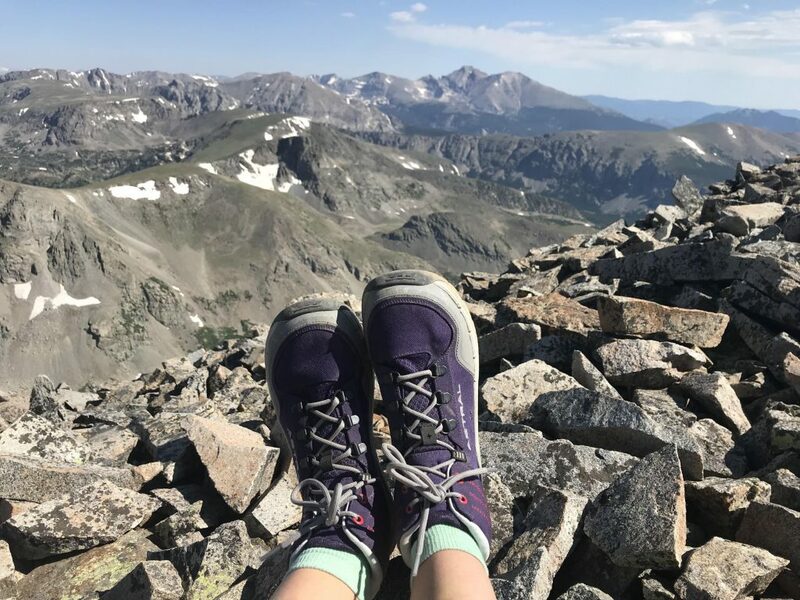 The loose rock and sand can make the steep descent and ascent to and from the road carrying the boat really sketchy, but I noticed that I felt stable with the stiff sole and ankle support. 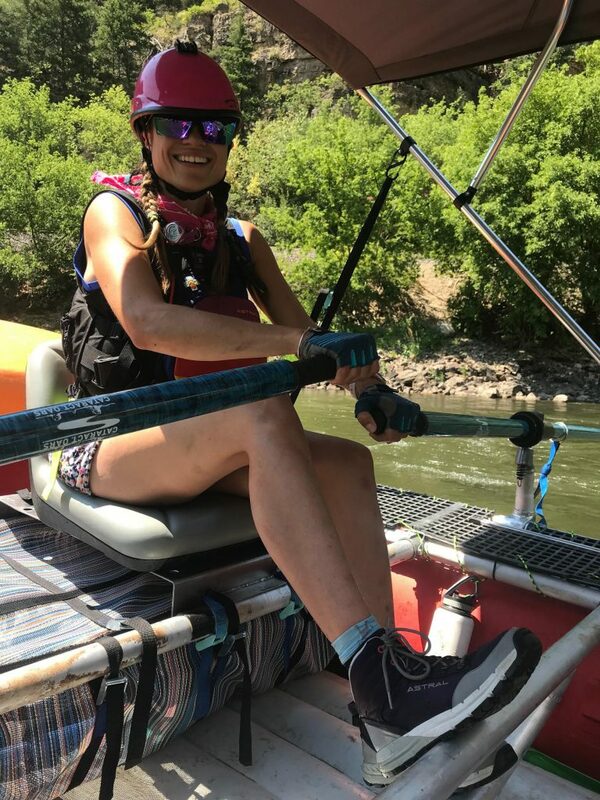 The shoes performed well in paddle mode, too, staying in the small foot cones and providing the support/stability I needed for aggressive movement and jumping in and out of the boat to hold it in small, rocky eddies. On this test, I also wore my drysuit and socks and the shoes felt comfortable throughout the run in both. Finally, I took them rowing down the Shoshone section of the Colorado River. 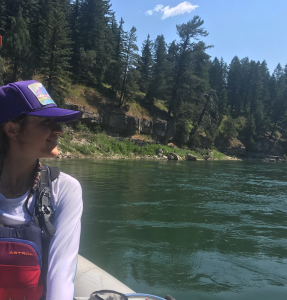 This was an exciting test because I rowed a 16-foot raft down the Class III stretch at relatively low water, so there was a lot of rock-dodging and quick maneuvering. The shoes were a little slippery on the slimy rocks at the put-in, but were awesome for pushing and pulling against the footbars on the raft when making powerful moves. After proving their worth on the water, I took them on a mission up Mt. 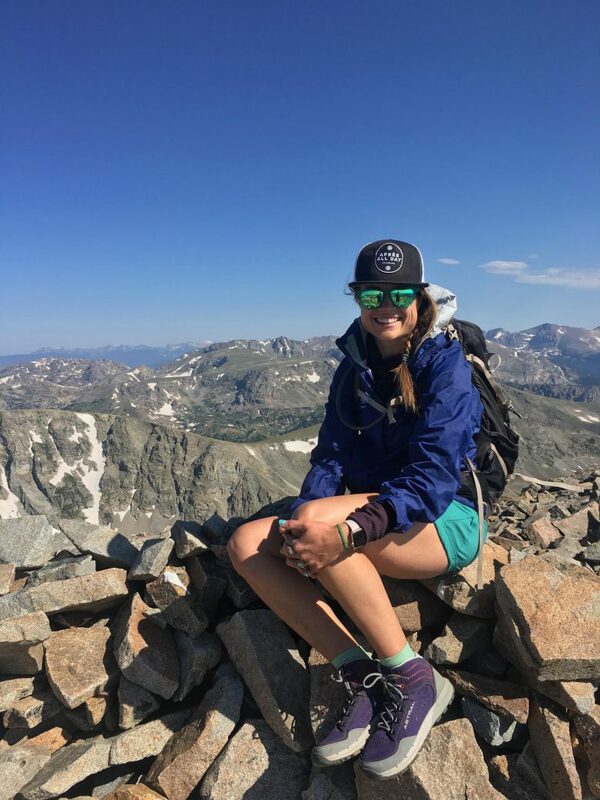 Audubon in the Brainard Lake Recreation Area of the Indian Peaks Wilderness to test their true purpose — hiking. My biggest compliment to these shoes is that even with minimal break-in time, I hiked 10 miles and had no blisters! 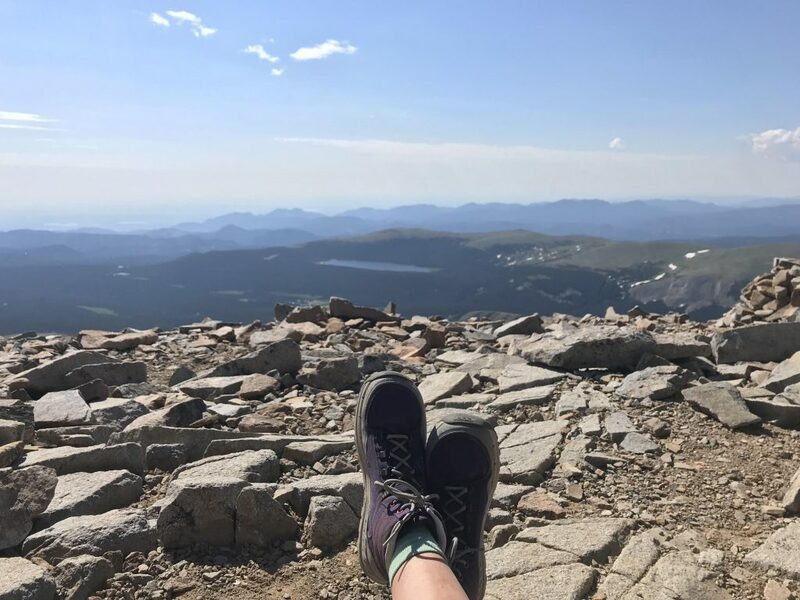 Their soft uppers, specifically behind the achilles, provide maximum comfort, and I felt supported and stable during the whole hike over loose rock and talus. Despite their light weight (~11oz), they performed like heavy-duty boots. I did find that the toe box was a little large for my narrow feet, but the soft outsole allowed me to tighten them enough without putting too much pressure on the top of my foot. I would definitely recommend the Astral TR1 Merge. They are an amphibious boot that performs well both in the rapids as well as over rocky terrain. As someone who often combines water activities with hikes, I love that I can just take one pair of shoes that do it all. Shop the Astral TR1 Merge on Outdoor Prolink. Not a member? Apply today!